The Establishing Shot: The Establishing Shot: Five Jameson Done In 60 Seconds Global Finalists go through to the finals today! The Establishing Shot: Five Jameson Done In 60 Seconds Global Finalists go through to the finals today! Today the 17th Jameson Empire Awards are being held in London, but on Friday evening a perhaps less well known but just as prestigious event took place at The London Film Museum. 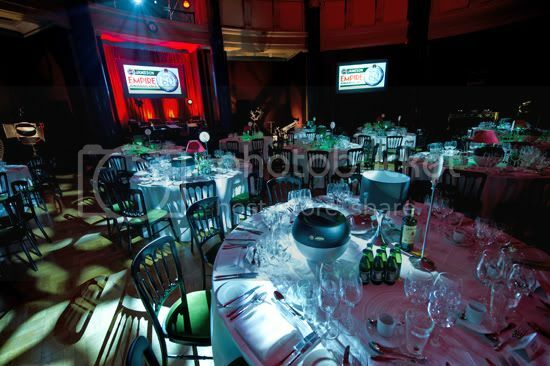 If you followed some of my tweets over here @TheEstShot you will know I was fortunate enough to pop along to the 2012 Jameson Empire Done in 60 Seconds or Jameson DISS Finalists Dinner on Friday. Sitting in the very plush & jovial dinner hall amongst the final 28 International nominees (5 from the UK) and their teams - you could be forgiven for thinking that the film-makers invited from all corners of the planet were party mad funsters. But the dinner event was actually a celebration of the aspiring global film-makers efforts, a chance for them all to be recognized for their talent as well as possibly be nominated as one of the five global finalists - with only one being crowned the Jameson Done In 60 Seconds winner today at the Jameson Empire Awards and possibly opening the door to a future career as a film-maker. The unenviable task of selecting the 5 best entries from the 28 films from around the world was handed over to 4 media luminaries at the top of their game; Sky Movies Premiere Presenter Alex Zane, Editor of Empire Magazine, Mark Dinning, Actor, genuinely funny man, Jameson Empire Done in Sixty Seconds Ambassador & actor Chris O’Dowd and finally Film Director and all round good guy Gareth Edwards, currently working on his version of a classic monster vs the world film. Along with a select handful of Bloggers I was invited along to experience the evening as well the opportunity to chat with the finalists and the judging panel about what they would be looking for - from the 60 Second films. Each of the judges was looking for different things from the films and had varying favourites that they would have liked see turned into a 60 second master piece. But they all agreed that it was difficult to reduce a film to its core (in 60 seconds) whilst entertaining. I should have a fuller write up online soon with video and pics. We also managed to catch up with David Smith and chat about his entertaining remake of Steven Spielberg’s War Horse. Although he hopes Spielberg doesn’t see his reimagining of the war time epic he is clearly talented filmmaker relying on his knowledge from working on film sets to plan and prepare his productions. I would be surprised if we didn’t see bigger things from David in the future. More from David including a 60 second interview in my full report. Check out all the smiling faces in this picture. 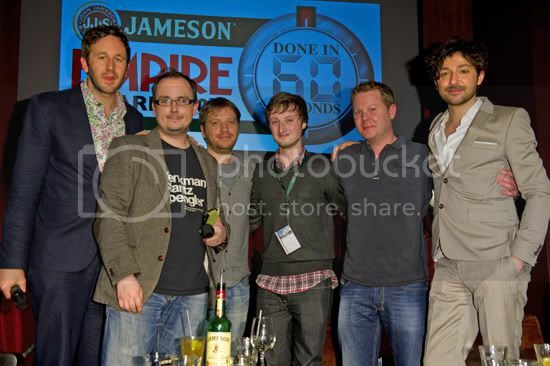 Image: Jameson Empire Done in Sixty Seconds judges; Chris O’Dowd, Gareth Edwards, Mark Dinning & Alex Zane & host Mark Hewitt with the Jameson Empire Done in Sixty Seconds UK nominees. The people’s champion & Empire News Editor Chris Hewitt took to the stage with his usual rapier wit to kick the evening off in earnest with a balance of humour and ceremony. Between the two Chris’s and Alex the room was in stitches for most of the night. With Chris O’Dowd coming out with some hilarious but unrepeatable punch lines sure to be catch phrase imbued into Awards lore. As the evening went on we got to see lots of high energy entries and some genuinely good 60 Second films. I was quite taken with Marie Hologne’s poignant art house Titanic from Belgium and couldn’t help but admire the sheer gusto of Gonzalo Ruiz & Joaquin Vergara’s Spiderman from Chile, both on and off the screen. But ultimately there can only be so many finalists and after some intense deliberation - only Phillip Askins’s well crafted and deservedly praise worthy Herge’s Tin Tin made it through to the finals from the pool of UK nominees. Joining Phillip Askins's Herge’s Tin Tin for a chance at glory are Spiderman by Gonzalo Ruiz & Joaquin Vergara (Chile), Edward Scissor Hands by Rosen Lliev (Bulgaria) , District 9 by Andrew Norton (Ireland), Black Swan by Indira Suleimenova (Kazakhstan), at the Jameson Empire Awards on today. For more information on the competition visit: www.jamesonwhiskey.com/DISS. 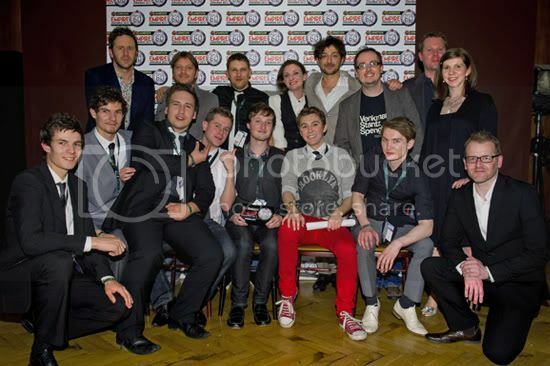 24th March 2012 – Philip Askins from the UK has beaten off competition from 28 amateur filmmakers from around the globe to be one of five finalists walking the red carpet alongside top stars of the film industry this weekend, thanks to Jameson Irish Whiskey and Empire magazine. Last night, at the Global Final of the amateur filmmaker competition Jameson Empire Done In 60 Seconds, Philip Askins from the UK was announced as one of the five global finalists with his winning entry Star Wars Trilogy Prequel The overall winner will be announced at this Sunday’s star-studded Jameson Empire Awards, taking place at the Grosvenor House Hotel in London. 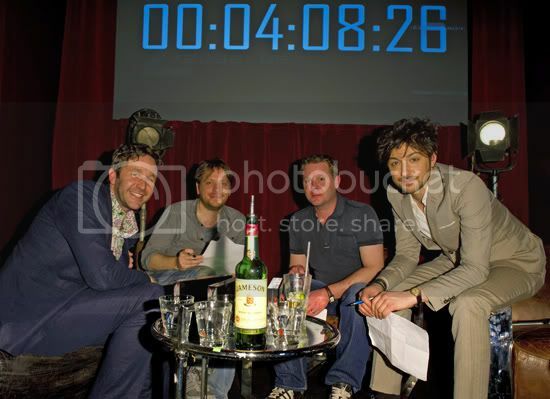 The judging panel for this year’s Done In 60 Seconds competition was formed of top talent from the industry including, Award-winning British Actor and Comedian, Chris O’Dowd, TV Presenter, Alex Zane, Film Director of Monsters, Gareth Edwards and headed up by Empire Editor Mark Dinning. To enter, budding directors were asked to remake their favourite movie of any genre into a mere minute of screen time. Film fans from all over the world had the opportunity to produce their own 60 second movie and upload it online where film-fans voted for a shortlist. The UK entries were whittled down to a shortlist of five finalists by 16,000 avid film fans in an online vote. This year, 29 entries came from as far afield as Kazakhstan, Turkey, Chile, Sweden and the Netherlands. Phillip Askins will be competing against Spiderman by Gonzalo Ruiz & Joaquin Vergara (Chile), Edward Scissor Hands by Rosen Lliev (Bulgaria) , District 9 by Andrew Norton (Ireland), Black Swan by Indira Suleimenova (Kazakhstan), at the Jameson Empire Awards on Sunday.